Along with the Plans of Liverpool (North and South) from 1890, this is one of the most detailed street level maps of the city. Unlike those two maps, however, this one is whole. Hundreds of streets are named, including some which are yet to be built. They can be seen in outline, usually dotted, and will be shown built up on later maps. What is interesting on this map is that Kirkdale is an isolated village, and Everton is only half built up. 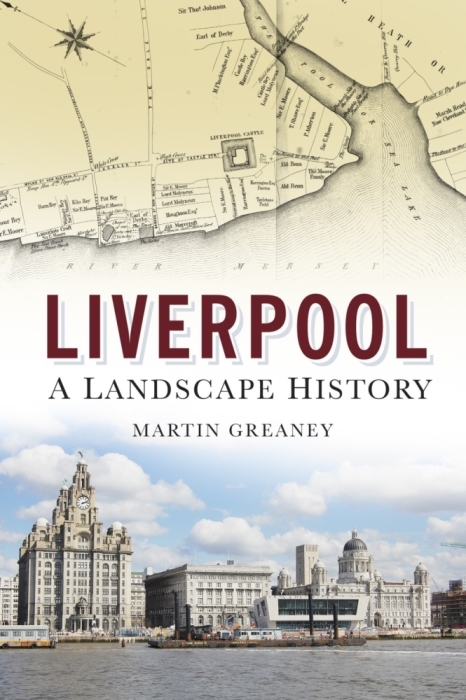 Like the Panoramic View of Liverpool (1847), this map shows rural fields where familiar streets now stand in Anfield, West Derby and Toxteth. If your Liverpool ancestors came from all over Merseyside, this might be the all-in-one map you need to complete your family tree. Some businesses are marked, like the Vauxhall Gas Works, and places of worship are labelled. The Weekly Dispatch Atlas is detailed enough to show the arrangements in parks, like the Necropolis and St James Gardens. In fact, it’s easy to see when comparing this map to the Plans of Liverpool from thirty years later that they are based on the same base map. The newer maps simply show the advance of the built-up city. If you’re trying to find out when a particular street was built, this comparison will be invaluable. Excellent maps! But I don’t see an option to purchase prints with US dollars and to have maps shipped to the US. Can you do this? Possibly using Paypal? Thanks. Yes, I should be able to do this via PayPal. It looks like postage is about £15-16 ($19-20). If you’re happy with that price I can send you a PayPal invoice for the full amount. Is the email address you put in with your comment (visible to me as admin) a PayPal-connected address?